The small country of Gabon has never loomed large in the African music scene, although artists like Pierre Akendengue and Oliver N'goma have certainly made their mark. Back in the 1980s, though, the Libreville radio station Africa No. 1 and its powerful signal ruled the African airwaves, and along with Gabon's first modern recording studio, Mademba, founded around the same time, brought increased attention to musicians from the country. Africa No. 1 was the inspiration of Gabonese President-for-life Omar Bongo, who apparently sought to use his country's oil wealth to raise its prestige in the world. 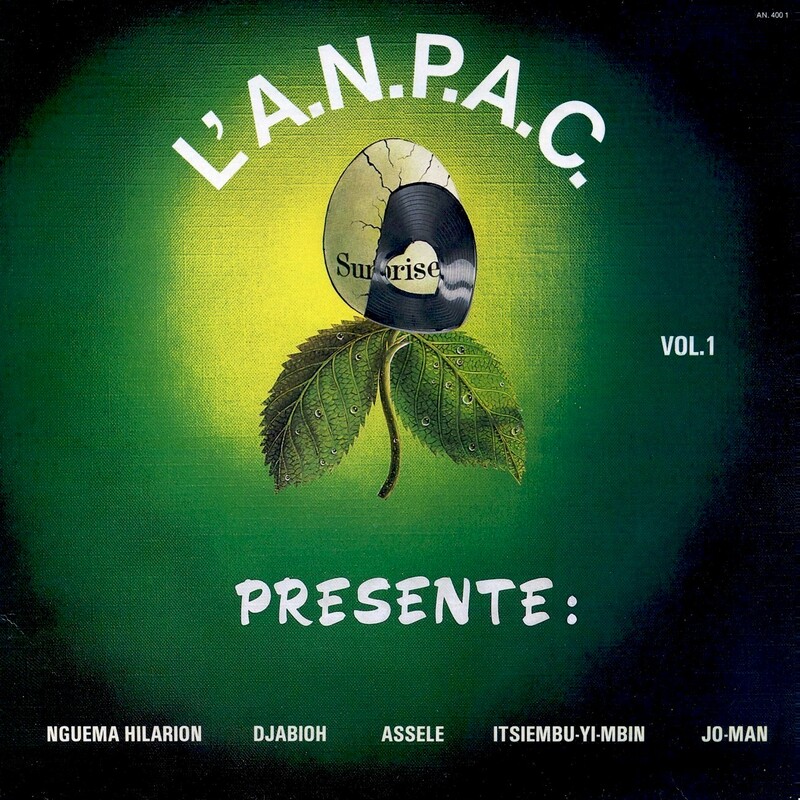 Another Bongo initiative, l'Agence National de Promotion Artistique et Culturelle (ANPAC), in 1984 issued a three-volume series of recordings, l'ANPAC Presente, showcasing a number of popular musicians of the decade. I can't tell you much about the musicians on Vol. 1 (ANPAC AN 400 1), presented here, or on Vols. 2 and 3, which will follow shortly. Hilarion Nguema, the best known of these, founded Orchestre Afro-Success in the early '80s and scored a number of hits, notably 1988's Crise Economique. The Wikipedia entry for Jean-Boniface Assélé describes a politician and brother-in-law of Omar Bongo, but makes no mention of a musical career, which leads me to question if they are indeed the same person (see update below). The other artists draw a complete blank on Google. I think you will agree with me that these mellow sounds have congruences with the music of Congo and Cameroun, with some unique local touches. Enjoy! Download l'ANPAC Presente Vol. 1 as a zipped file here. There's an interesting coda to the story of Africa No. 1. The radio station left the airwaves for a number of weeks earlier this year, apparently a result of the political crisis and civil war in Libya. Libyan Jamahiriya Broadcasting was a 52% shareholder, and when Libya's assets were frozen, the station was unable to pay its bills. You can read the story here and here. My apologies for Likembe's three-month hiatus, by the way. A lot of personal issues intervened, but I hope to keep things going on a more regular basis from now on. Update: Thanks to commenter Peter for confirming that the Jean-Boniface Assélé of this LP and the one described in Wikipedia are indeed one and the same.